For my next project, I had four pieces of wood lying around for some time (forgot about them for years)... they are notice signboards commonly used in Japan, made of lightweight paulownia wood. 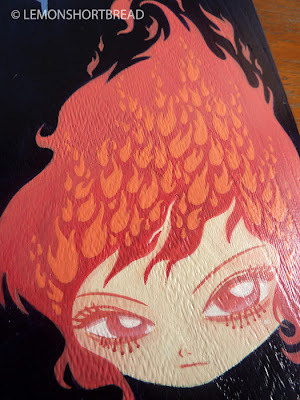 I enjoyed painting on a different material other than canvas. 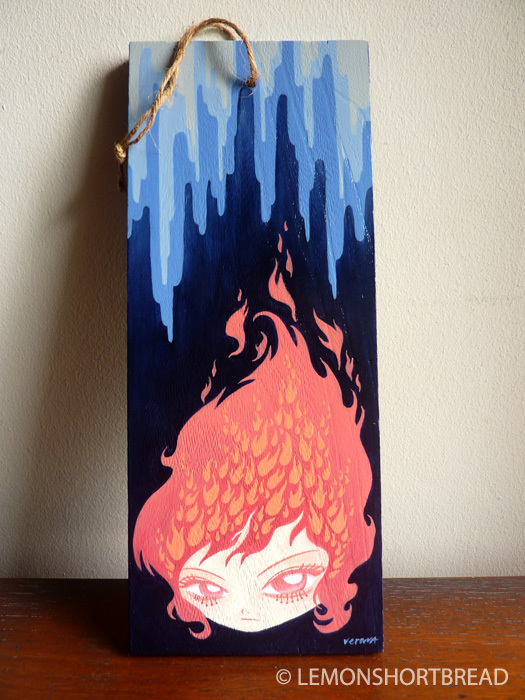 First one done is called 'Enter at your own risk', 12 x 30cm in acrylics. Close-up of the painting after varnishing. Beautiful job..I think it is neat to paint on different surfaces..I read once about painting on rocks..and did it. Have to admit it was fun..but not easy to carry around. So gave them to my girls..Since it was flowers, they put them in their gardens.